The coalition government's first budget focused on boosting business in the UK, with a range of measures that included a 4% cut in corporation tax over four years. Much of the tax burden will fall to consumers with a rise in VAT to 20% from next year. 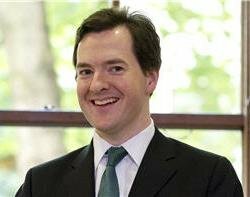 Chancellor of the exchequer George Osborne said the government will be increasing investment in business by £13bn between now and 2016, with a focus on smaller businesses. The 50p a month broadband levy will be scrapped, and George Osborne said the rollout of the service by the private sector will be supported by investment using money from the digital switchover fund. The fund, which forms part of the revenue from the BBC licence fee, was under-spent. The public sector faces tougher times than the private sector, with news of a 25% cut in the budgets of most departments. The NHS budget and international aid obligations are protected, producing a greater onus on other departments to meet the target of £17bn a year worth of cuts by 2014-15. The cuts could trickle down into IT departments across the sector. The video games industry will not see the tax relief it hoped for under the Labour government. The chancellor called the support poorly targeted. Instead, any business started in the next three years outside London or the south east will receive support. Each will be exempt for up to £5,000 worth of national insurance payments for the first ten employees, with the Treasury predicting that 400,000 businesses will benefit. A two-year pay freeze will start across the public sector and Osborne introduced a new limit for top pay, saying no-one should earn more than 20 times the lowest-paid workers. The new rule is unlikely to affect CIOs, however, with most earning under that limit. The limit on depreciation of capital assets for tax purposes has been changed from 20% to 18%, extending the time from five to five and a half years. Kate Craig-Wood, managing director and founder at hosting company Memset, said this was a minor blow for the IT industry as most IT equipment depreciates a lot quicker. Kate Craig-Wood said: "It's bad news for infrastructure-heavy IT companies. It makes it hard for us to compete on the world stage, as our international competitors are allowed to depreciate their equipment at realistic rates." The threshold for paying National Insurance will rise by £21 a week. Entrepreneurs will see an extension to their relief from capital gains tax. Osborne said the coalition's fiscal mandate is that the structural budget deficit should be in balance by 2015-16, and that structural debt should be falling as a percentage of GDP by the same year. It is expected to peak at 70% of GDP next year. Public sector net borrowing is predicted to fall to £20bn in 2015-16 from the current £149bn this year, and net debt is expected to fall to 1.1% of the economy in 2015-16 from the current 10.1%. Public spending is expected to rise from £637bn in 2010-11 to £711bn in 2015-16 because of debt interest payments.